At Chiropractic Care Center, we take great pride in providing the finest chiropractic wellness care to our patients. Below is a sampling of the different chiropractic services we offer in our Southlake office. Spinal adjustments utilizing gentle chiropractic techniques correct misalignment, relieve pain and allow the body to function at optimal levels. Never in the history of chiropractic have we been able to provide the level of help and expertise that now exists. These newer correction methods are even safer, more comfortable and more effective than ever before. 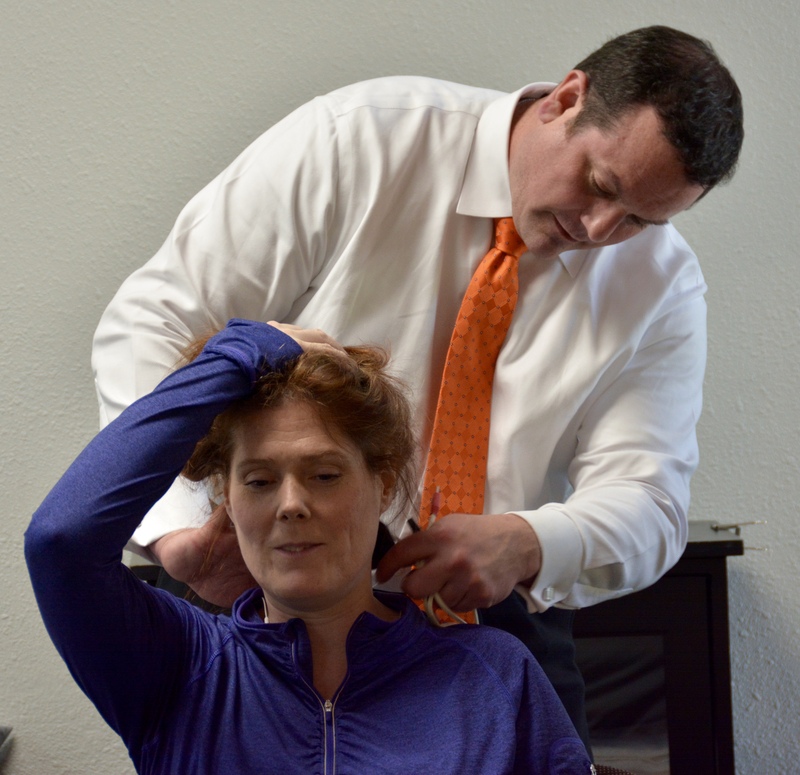 As a Doctor of Chiropractic, Dr. Tyce Hergert has many years of training and experience in spinal adjustment. Cold Laser Therapy (completely painless) is utilized to treat chronic and acute pain by increasing serotonin levels which allow the body to heal itself. It is highly effective for patients suffering from back and neck pain, musculoskeletal pain, joint pain associated with arthritis, fibromyalgia, tendonitis, bursitis, neuropathy, achilles tendon pain, migraine headaches, sprains and strains, carpal tunnel and other associated pains. 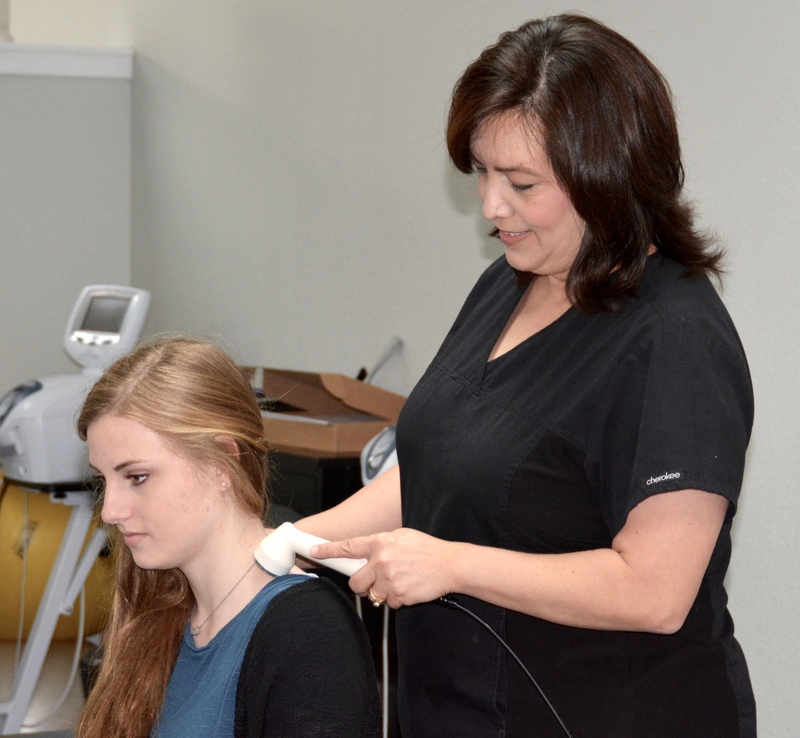 Cold laser therapy is non-thermal and noninvasive. Cold laser therapy is one of the most effective healing therapies in the medical community today. Cold laser therapy is not only significant in reducing treatment times, it is cost effective as well. Our therastim units address the pain generators by applying tiny amounts of electrical current into and around the injured and sore tissue. The result is a very soothing therapy that aids in the healing of those tissues. Our patients most commonly tell us that this therapy feels "very relaxing" or like a "massage." The effects on your body will be to decrease pain, decrease swelling, promote healing by increasing blood flow into the area, and to increase muscle tone. It has the added benefit of helping the body to release its natural painkillers called endorphins. Damaged, degenerative, bulging, herniated and ruptured spinal discs are among the most common causes of lower back pain, leg pain, leg numbness or weakness, neck pain, arm pain and arm numbness or weakness. It's a medical fact that damaged discs, which bulge or protrude as a result, seldom retract on their own because they are always subject to gravity and are under constant internal pressure. 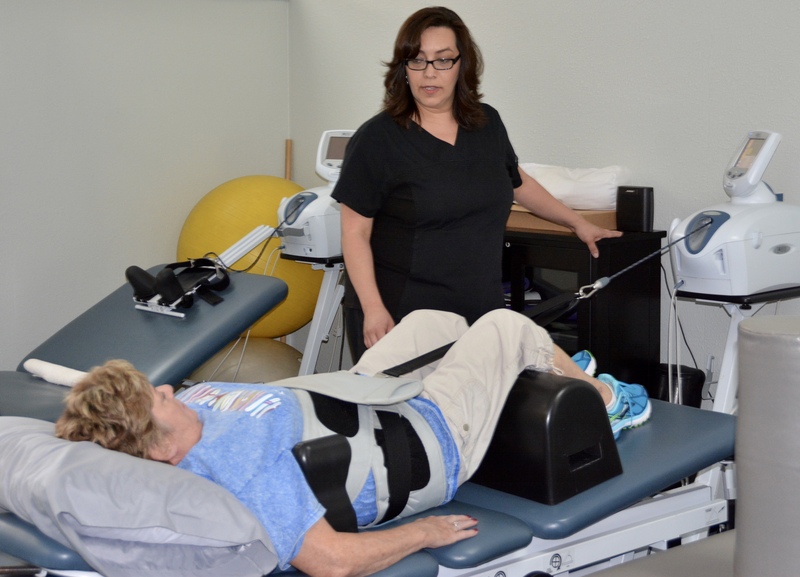 At Chiropractic Care Center many patients are recovering more quickly and more completely than previously possible using Spinal Decompression therapy. This therapy lieves pressure on vital structures of the spine by reducing pressure inside the discs. In many cases this allows the body to actually repair some of the damage inside the discs and other joints of the spine. 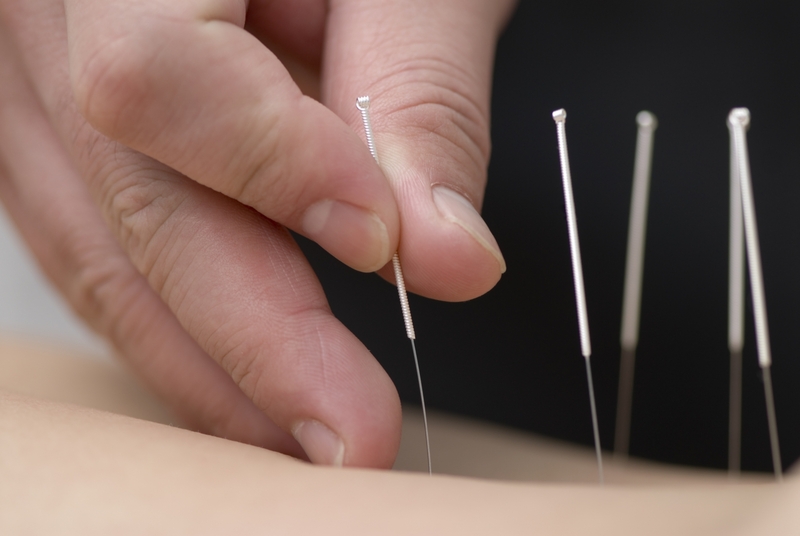 Chronic pain responds well to acupuncture, which is many times welcome relief for those suffering from fibromyalgia, arthritis and other chronic pain conditions. Dr. Hergert has obtained over 300 hours of post-doctoral training in receiving his Diplomate in Acupuncture from the American Academy of Chiropractic Acupuncture (AACA), which is the highest level of Acupuncture training offered to the profession. Dr. Hergert was the 28th Doctor in the United States to achieve this honor with the AACA. Ultrasound is used to help in the healing of soft-tissue injuries such as sprains, strains, bursitis and tendonitis. High-frequency sound waves are used to produce an increase in temperature in the affected area. It comes in the form of a hand-held wand that is covered in a warm gel and placed on the skin over the area of injury. Ultrasound is effective in speeding up healing, decreasing calcium deposits, increasing blood flow and reducing nerve irritation or pain. Our patients describe this therapy as "warm and soothing." Specific exercises are prescribed for each individual patient. 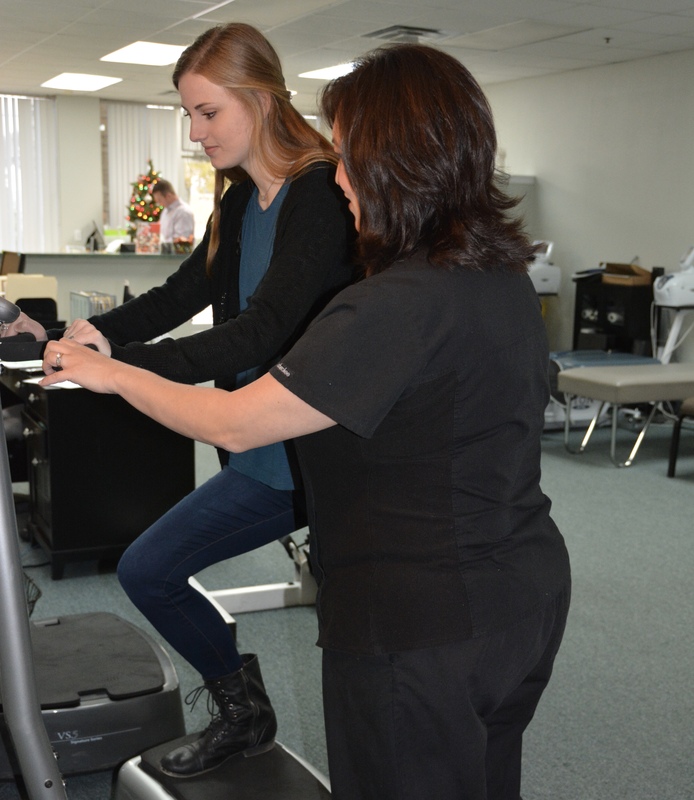 This includes the use of specialized rehab equipment in our office and incorporating inexpensive home use applications so that the patient is an active participant in the recovery process. Rehab goals can include increased range of motion, retraining damaged muscles, strengthening/stabilizing the joints, increasing function or improving performance. We provide specific recommendations on nutritional supplements and healthy food choices to enhance our patient´s return to optimal health. Do you know which supplements and vitamins are right for you? Do you really know what's in the supplements you choose Do you know how these supplements and vitamins interact with one another? DC Tyce Hergert can provide a structured nutritional program based on your individual needs.